Attend the nation&apos;s largest and most highly anticipated comedy event of the year. The festival takes place from January 5 to 15 at Stage 773 in Lakeview. This is a record-breaking year for artist submissions, with more than 160 groups performing 180 shows. Headliners include award-winning LA comedy group The Cool Table, and New York&apos;s Pop Roulette featuring SNL writer Sudi Green. Chicago SketchFest veterans The Defiant Thomas Brothers, The Cupid Players, and Rabbit Rabbit are always crowd pleasers among the talented Chicago sketch comedy scene. International talent will also add their own flair to the festival. Some well-known acts include Toronto Sketch Festival "Best Group" Winner, The Vest of Friends; Montreal-based and three-time Canadian Comedy Award-winning sketch troupe from Vancouver, Peter n&apos; Chris. Tickets start at just $15 each. 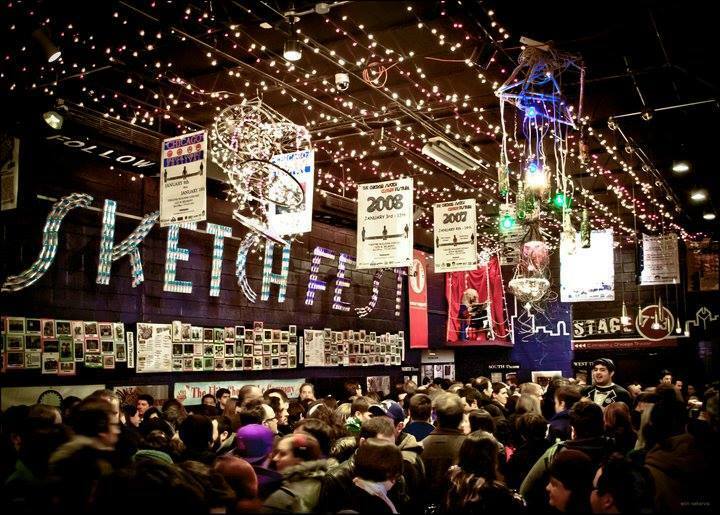 You can opt to purchase an all-inclusive festival pass for $250, which grants you admission to any of SketchFest&apos;s 180+ shows! This truly unique event houses "every flavor of comedy under one roof," says founder Brian Posen. Enjoy "8 days of constant laughter and celebration." Head to the SketchFest calendar for more information and tickets. Want even more comedy action? Enjoy bites and drinks while watching a private comedy performance at Smorgasbord on January 7. Guests will also be the first to see new material from Stage 773&apos;s own Cupid Players. This is a great idea for a unique date night or a group outing with friends. Have you attended Stage 773&apos;s Annual Chicago Sketch Comedy Festival before? Or are you going to check it out for the first time this year? Let us know which events you&apos;ll be attending in the comments below!